There is a fine view from Hopegill Head, made even finer by a fantastic sunny day. Grisedale Pike is the peak on the left, and it’s a fine ridge walk from there to Hopegill Head. 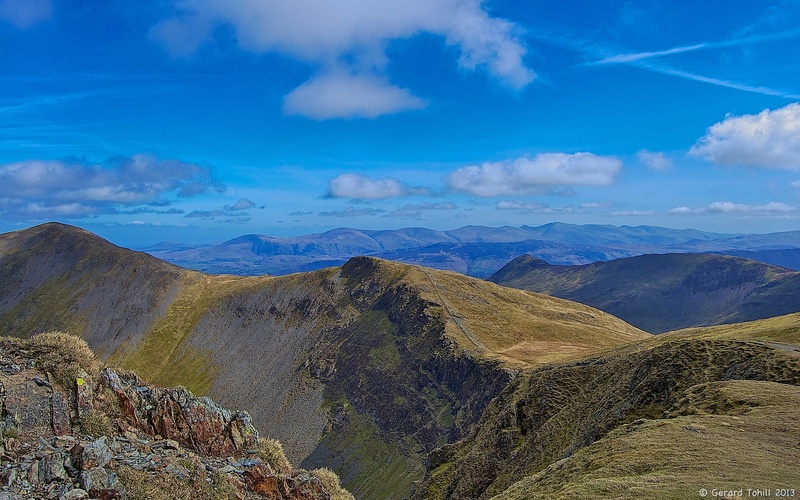 In the background can be seen the north to south range of the eastern fells – Clough Head, Great Dodd, Watsons Dodd, Stybarrow Dodd, Raise, Whiteside, Catstycam (the pointy peak just right of centre), Helvellyn, Nethermost Pike, and Dollywaggon Pike.